UPDATE: The sheriff's office is seeking two known acquaintances of Brian Tumas in connection with his death. 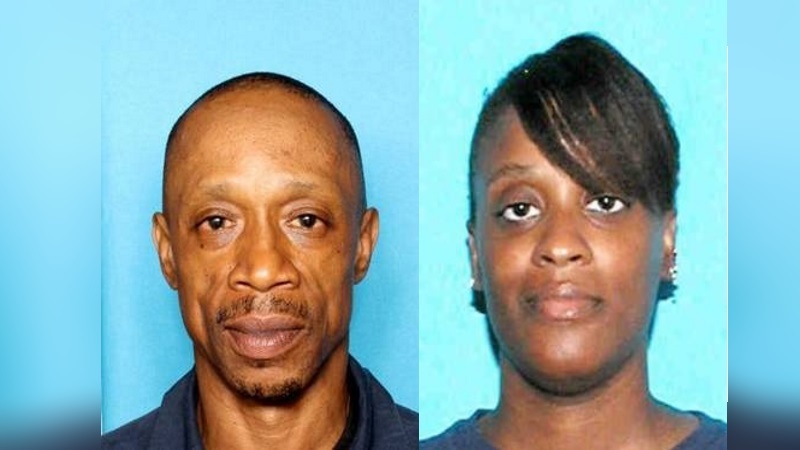 Detectives believe that 35-year-old Adrienne Norwood and 55-year-old Cyril Hubbard may have had frequent contact with Tumas in the months leading up to his death and are being sought by authorities in connection with the investigation. Anyone who may have information on the whereabouts of Norwood and Hubbard are urged to contact the Ascension Parish Sheriff's Office at 225-621-4636 or by texting 847411. GONZALES - The Ascension Parish Sheriff's Office now 'firmly believes' that a man found dead in the middle of a road near his home was killed in a hit and run. According to the Sheriff's Office, on Friday, Nov. 3 at 4:45 a.m., deputies responded to Courtyard Drive in Gonzales in reference to a man lying in the street with apparent signs of trauma to the body. The man was later identified as 44-year-old Brian Tumas. He was transported to a nearby hospital where he later died from his injuries. Investigators said Tumas was found not far from his residence on Courtyard Drive. He was last seen on Nov. 2 around 8 p.m. by a family member at his residence on Courtyard Drive in Pelican Point, according to the Sheriff's Office. On Thursday, the sheriff's office said the investigation has led it to believe that Tumas was killed in a hit-and-run crash. Authorities are continuing to investigate his death. Anyone with information regarding his death is urged to contact the Ascension Parish Sheriff's Office at 225-621-4636 or by texting 847411 to the anonymous tip line from any cellular device.